A return visit by the BBC to Richmond – nominated the best Neighbourhood Restaurant in 2016 by The Irish Times. The party was slightly late placing our order (Sorry Dave! 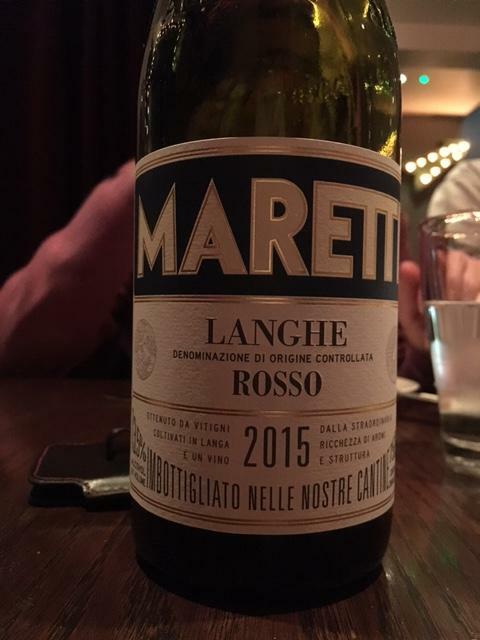 ), so to expedite matters we again chose the Maretti which is a reliable blend of 70% Barbera and 30% Nebbiolo. 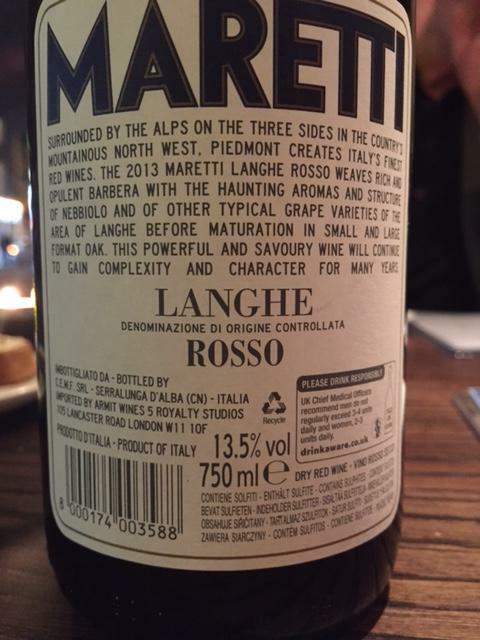 This was the 2015 vintage and all agreed it was quite potable, though not exactly value at €37 a pop. A competent meal, another satisfying evening in Richmond. 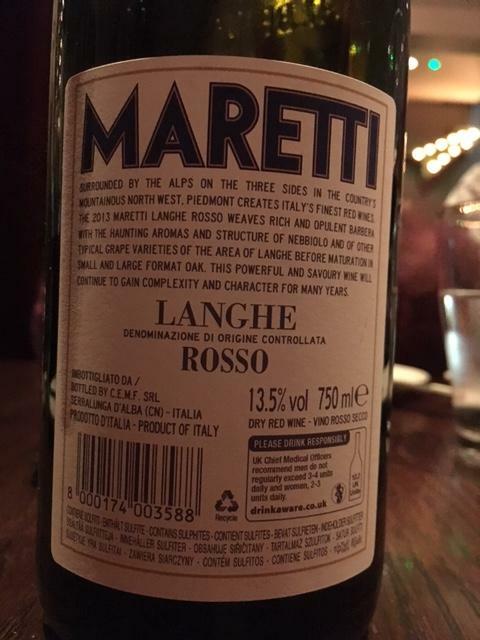 The BBC visited the new Richmond Portobello Restaurant for the annual Christmas Dinner myself, Robbie, John and Ian took the Window table and chose this belter from the small but carefully curated wine list. 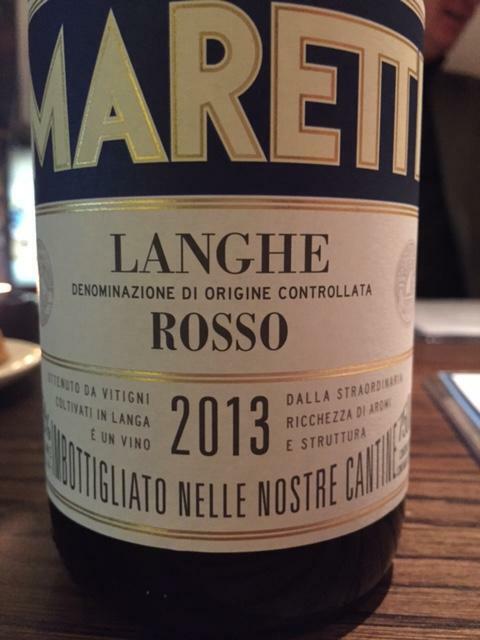 On presentation, it looked liked a classic French Pastis bottle which promised hints of liquorice and spice and the Maretti didn’t fail to deliver. A super Barbera, this is a blend of 70% Barbera and 30% Nebbiolo, sourced from vineyards in the Barbaresco and Barolo terroirs. 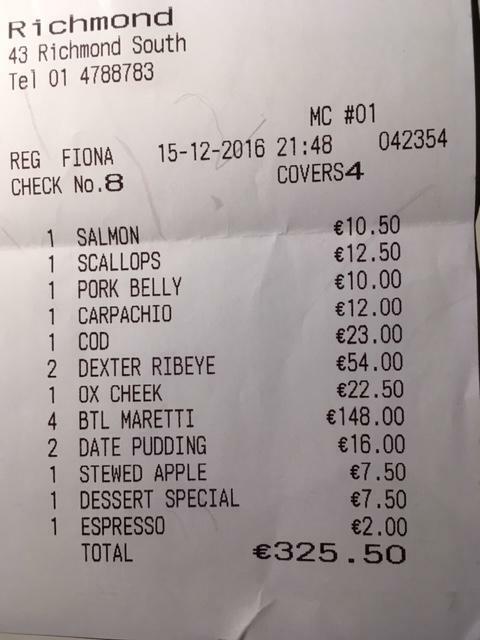 All in all a great night; service, food and wine. Though perhaps we won’t sit in the Window again!